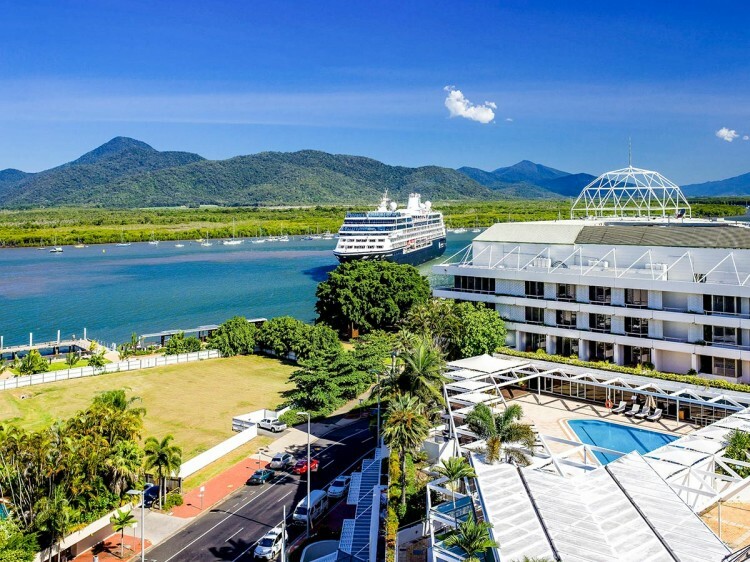 Nestled alongside Trinity Inlet, the five star Pullman Hotel is tropical North Queensland's most prestigious hotel. 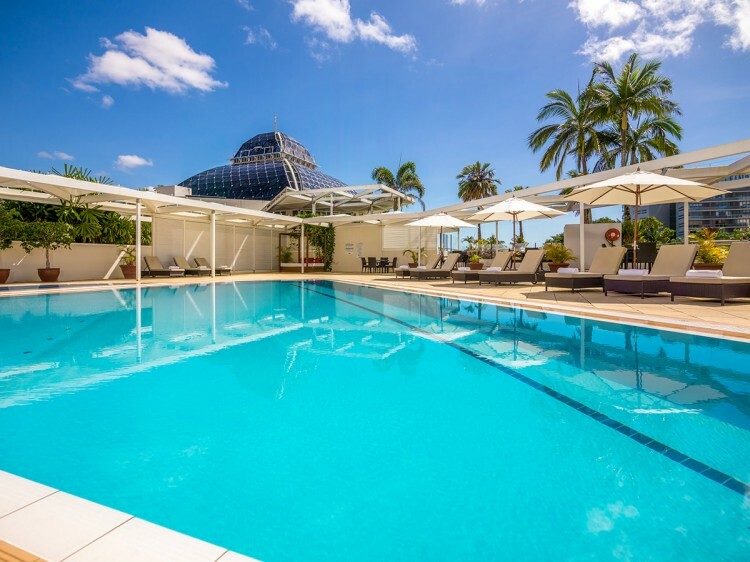 The complex boasts one of Australia's finest boutique casinos, a multitude of dining experiences and bars, extensive conference and banqueting facilities, elite entertainment in Vertigo or the Casino Sports Arena and the luxurious Pullman Hotel with 128 beautifully appointed rooms. The cool and stylish lobby provides a glimpse of the simple elegance of the hotel. 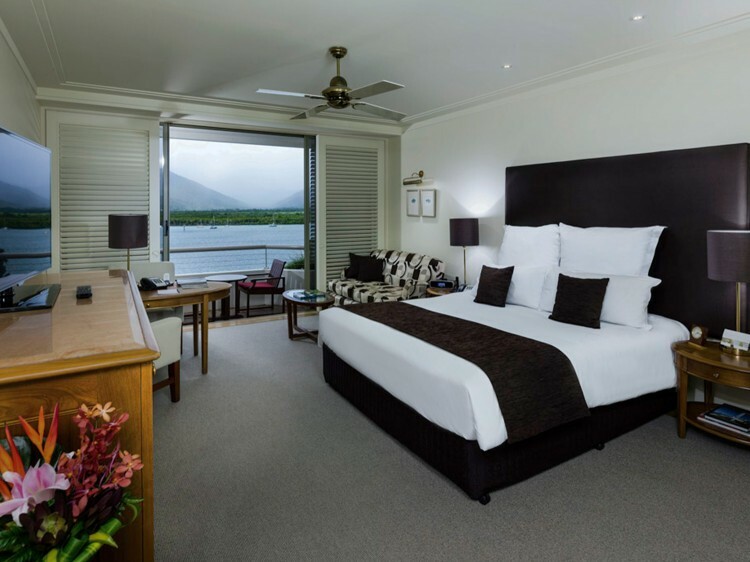 The rooms and suites are unmistakably Tropical North Queensland style with plantation shutters and light timbers. Each room has its own spa bath and private garden balcony overlooking the city or water views. Hotel facilities include a rooftop swimming pool, sauna and a gymnasium. Tamarind Restaurant - enjoy Tamarind's excellent menu combining the vibrant flavors of Asia and the presentation and sophistication of western cuisine. 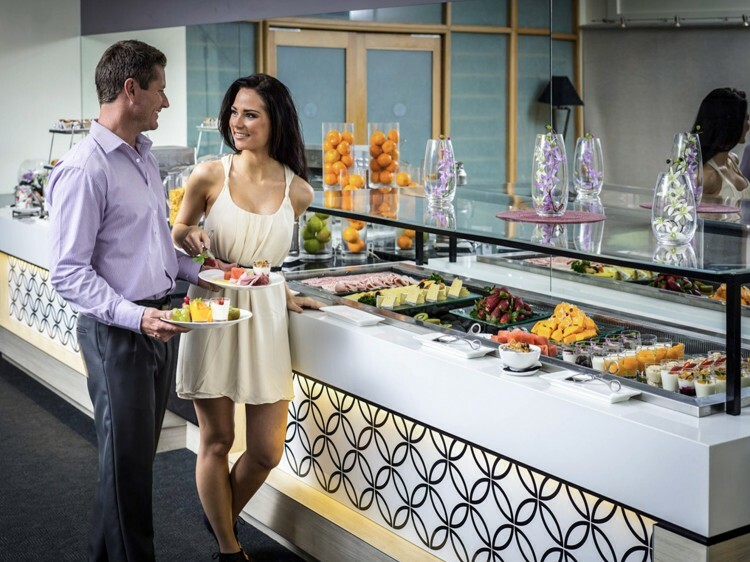 Tamarind is now the most awarded restaurant in Cairns - recent awards include Accor's Restaurant of the Year 2013 for Pullman as well being a recipient of an Australian Good Food Guide - One Chefs Hat 2014. Open for dinner daily from 6:00pm to 10:00pm. Flinders Bar and Grill - open all day from 10:00am until 1:00am, this casual dining experience is great value for money. Choose from a great range of light meals, snacks and many local beverages. Cafe China Restaurant - an internationally acclaimed restaurant, well known for its authentic Peking and Hong Kong cuisine, yum cha and seafood. Open 7 days from 11:00am for lunch and dinner in the main lobby. Cafe China Noodle Bar - a tempting array of traditional Chinese delicacies are available for lunch or dinner, from noodles to stir fry, this well known local restaurant in Customs House is great for a fast and casual meal before heading out for the evening. Open daily from 11:00am. Vertigo Bar - ultra modern with live music Thursday to Saturday, plus jukebox, cocktails and tapas. It's a lively place with promotions and events happening regularly! This is a venue you will want to spend a lot of time in. Open daily from 4:00pm until late. The Velvet Underground - this nightclub is a big hit with locals and tourists alike. Regularly showcasing some of the Australia's best DJ's. Its the place to be late at night and early in the morning. Lihou Bar - the main bar inside the Reef Casino. Try your luck with the Keno or TAB whilst sipping on an ice cold beverage. Open daily from 9:00am. Sports Arena Bar - located inside the Casino on level 2 this is Cairn's only true sports bar experience. Featuring the largest indoor LED screen in Queensland plus 360 degrees of sports action on multiple high definition screens. Open daily from 9:00am. Cairns Wildlife Dome - located at the top of the complex is one of the most unique experiences you can have in Cairn - appreciate and understand the rainforest in more detail, offering a quality Australian wildlife experience that promotes education and understanding of rainforest ecology. Be immersed in a rainforest environment whilst birds such as parrots, cockatoos, lorikeets, doves and rosellas fly freely around you. Get up close to cute wallabies as they roam freely through their enclosure. Observe curlews, frogmouths and kookaburras along with other animals such as frogs, turtles, pythons, freshwater crocodiles, lizards and adorable bettongs. The Cairns ZOOm - the Wildlife Dome is home to the world’s first Challenge Ropes Course in a wildlife immersion exhibit, consisting of over 50 elements of crossings and ziplines – including one which takes participants directly over the top of Goliath, our 4 metre saltwater crocodile! Casino - with a TAB, keno, games, tables, bars, sports bars, dining and pool tables, it has a lot to offer...from 9am right through the day and the night. Features include balcony, a well appointed ensuite with a spa bath, separate shower and double basins, plus high speed internet access. Treats yourself to sensational Trinity Bay water views, plus a private garden balcony, an ensuite with decadent spa bath, separate shower and double basins plus high speed internet access. 55 square metres of pure indulgence. Revel in spacious surroundings while enjoying plush bathrobes, pleasant views, a separate sitting area, large balcony, double spa and Nespresso machine. Underground security parking with 24 hour CCTV monitoring: $8 per day. Valet parking is $15 per day. Prices are subject to change without notice.